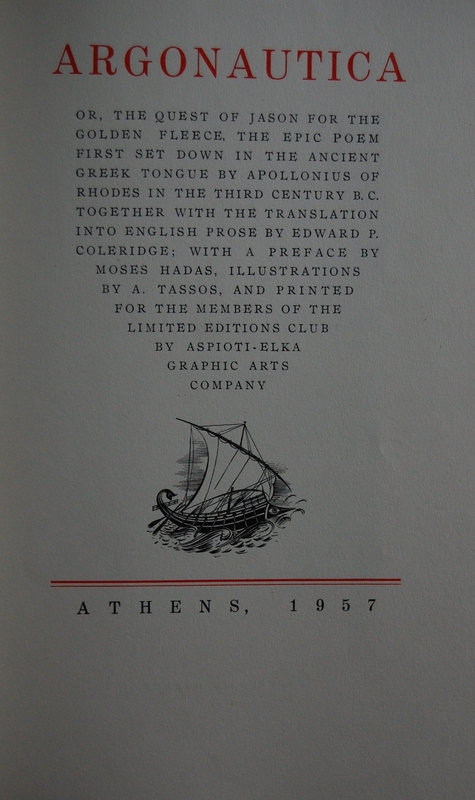 Spine – I like how the Club truly made this a Greek book, prominently displaying its creation in Athens all over the place. 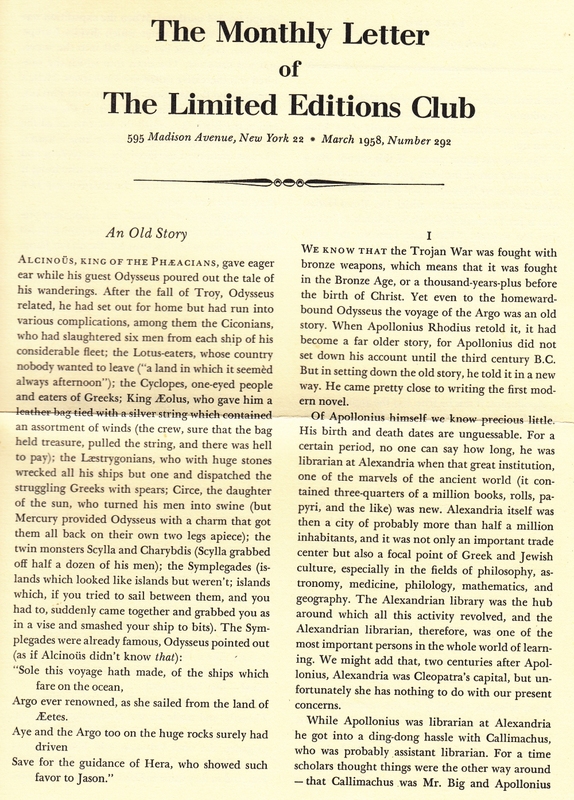 Title Page – This is a fairly unique title page with the strong font that proclaims who was involved in its creation. Very classy. 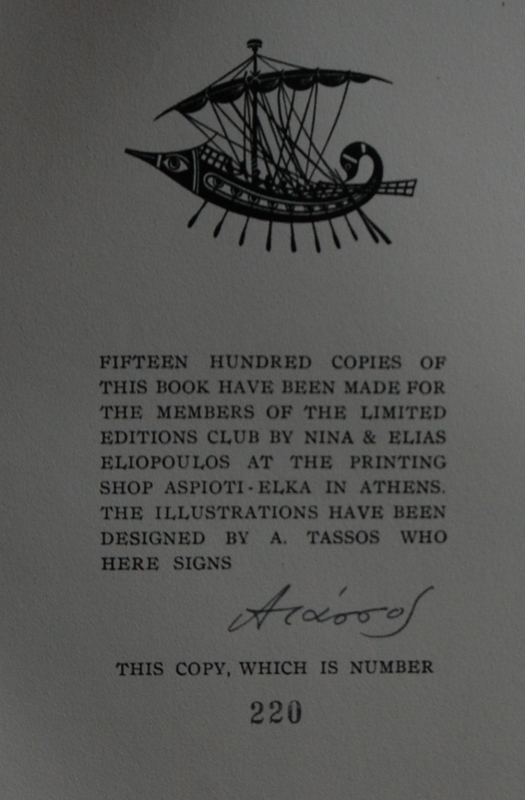 Signature Page – Here’s A. Tassos’ signature, and my limitation number is 220 out of 1500. 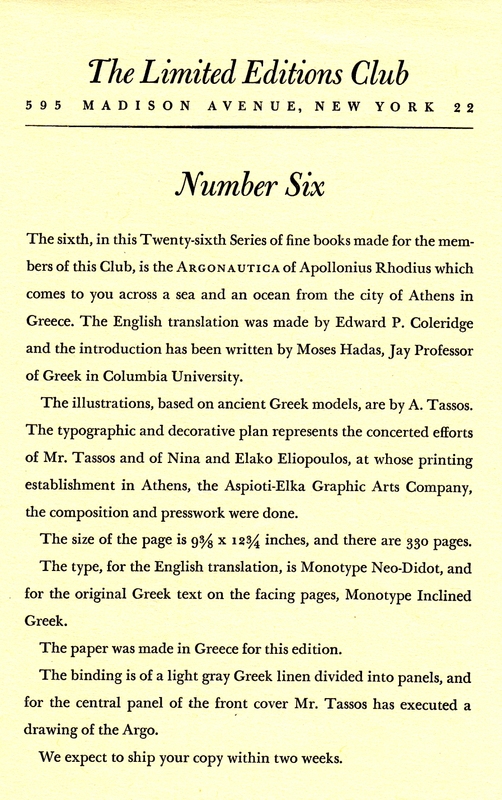 Pages 2 and 3 – This book maintains its Greek heritage by dividing the text from the original Greek on the left and the translated English on the right. 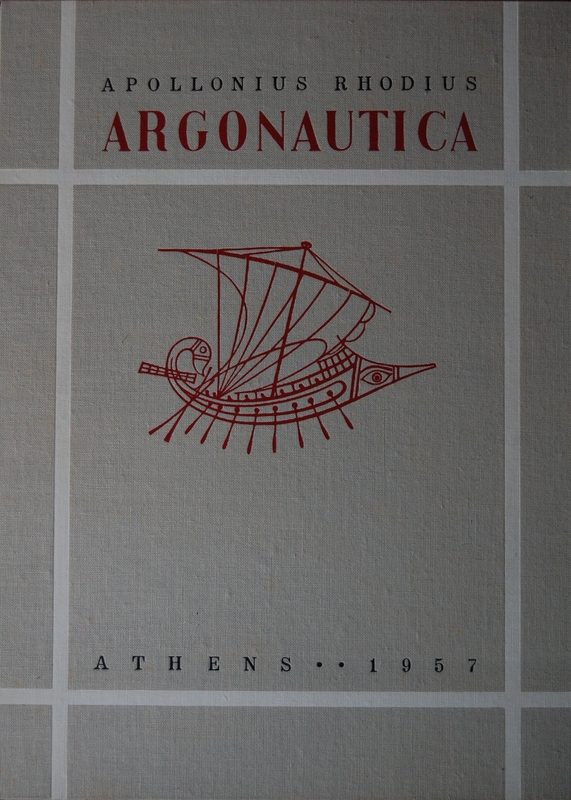 A. Tassos was an ideal fit for this book, as far as I’m concerned. 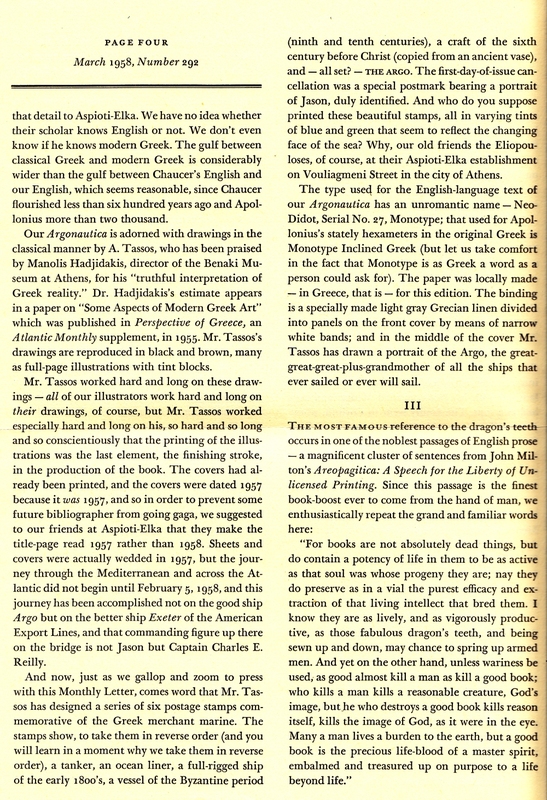 Page 30 – There’s quite a few chapter breaks in the book, where A. Tassos stuns with these Greek pottery-esque pieces. Wow. 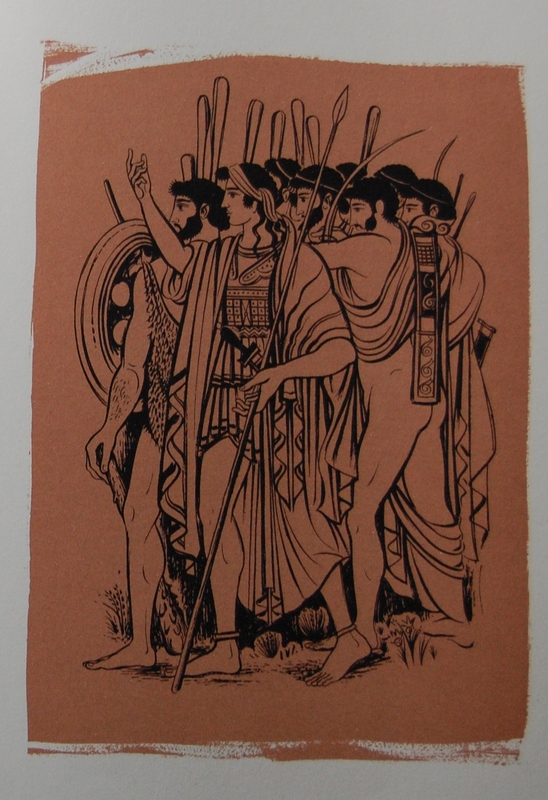 Personal Notes – I got this one at Moe’s in Berkeley for a good price of $30 (marked down from $100!) 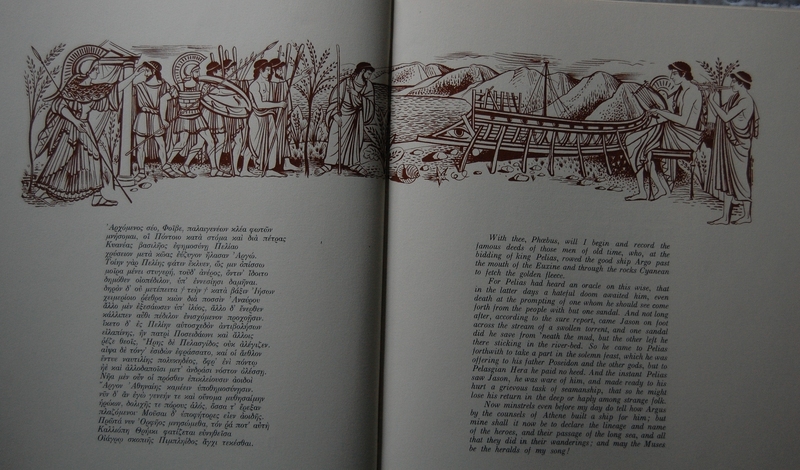 complete and in great condition. It’s the tallest book I have save the Steiner-Prag Tartuffe and The Oresteia, and it’s a massive tome as well. I love the design – it’s so awesome. I don’t regret picking this one up! I need to sample the text still to see if I dig the translation, but I do love the art! It certainly looks impressive. I hope the English text is italicized only in the intro and not throughout the book. I’m afraid it’s italicized throughout the whole book. While I personally like it, I can see why others wouldn’t. Wow. This was an egregious lapse of judgement from the LEC. 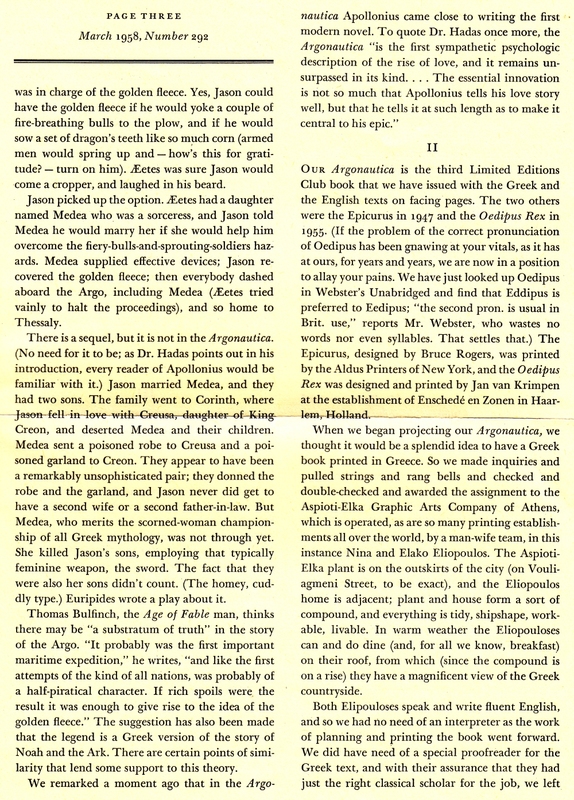 Rule #1 of typesetting is that italic type is reserved for brief, special words or phrases, or small blocks of text (such as a dedication). 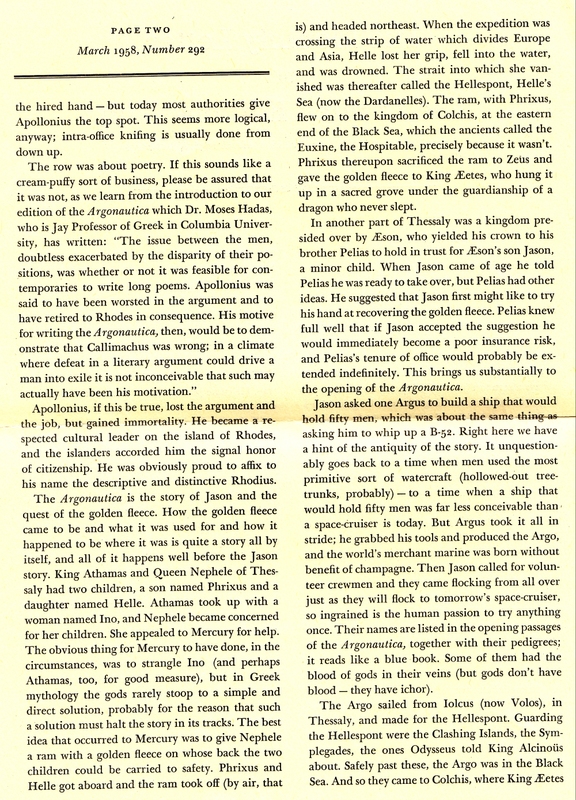 NEVER italicize the entire text. 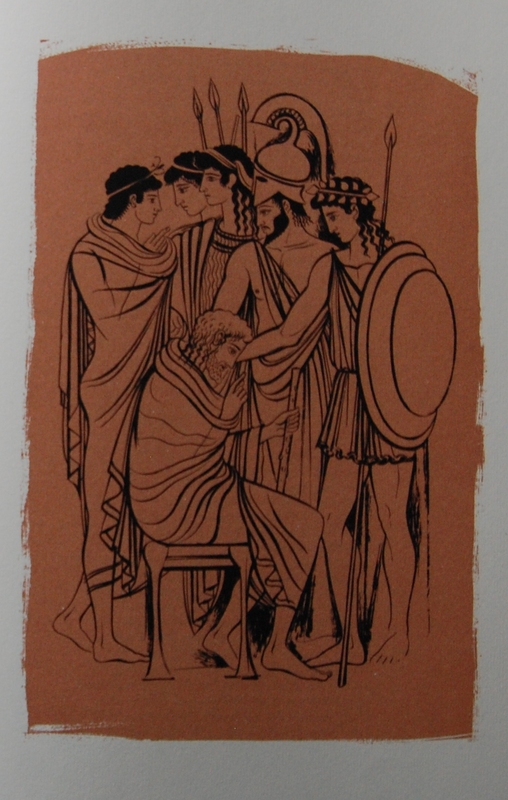 Maybe it’s a Greek stylistic trait or something, since the entire book was designed and published there. Otherwise, I’m in the dark. I suppose I could ask a fellow expert on your behalf if he knows something I don’t. 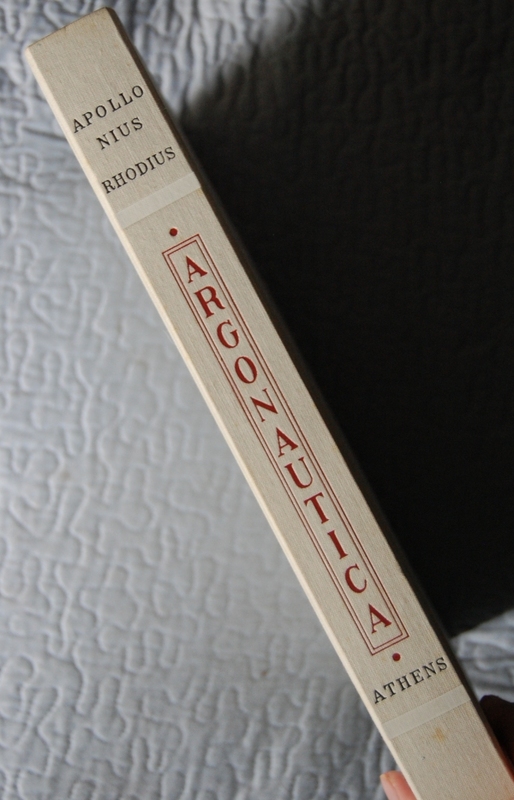 You are currently reading Limited Editions Club: Argonautica by Apollonius Rhodes (1957) at The George Macy Imagery.